Interim Executive steps into a UK-based furniture retailer and increases efficiencies/profit margins. The acquisition of a retail furniture business by a private equity firm brought on tremendous growth in a short period of time. The rapid growth to business brought changes and challenges to the that needed to be addressed quickly. Management was, however, unable to keep up. That’s when they turned to an Interim Executive. They had difficulty adapting the internal structure and governance of the organization while managing significant growth, so an interim GM was asked to step in to increase efficiency and pull the executive team together. Through the restructuring of executives and greater opportunities for communication, they were able to turn the company around and better prepare it for business growth in the long-term. A private-equity-backed enterprise in the UK, that grew to 55 to 60 million pounds sterling turnover business within a three year period. The private equity investment in the business sparked growth from approximately 13 million pounds to a 55-60 million pound turnover within a short period of around three years. The business provides both high-end and lower-end furniture to projects ranging from high-end construction projects that one might find in London, to local authority housing association projects through government-funded council houses. The former involves setting up flats which need two or three show flats with furniture of very high quality, while the latter involves giving tenants fully furnished flats where all the furniture is provided for by this organization. Quite often that furniture gets broken which needs to get renewed when one tenant moves out and another comes in, requiring orders of slightly lower-quality and higher volume as opposed to the higher-end luxury market of multi-million-pound flats. The quick growth of the business over such a short period brought challenges to the company, despite it being good news from a revenue and profitability perspective. The difficulty lay in what got lost during that fast growth phase in internal structuring, governance of the organization and ensuring the setup and nature in which the business works. The operating model of the firm was both fit for purpose and efficient and lean as it could be, but with organic growth and three small bolt-on acquisitions, a lack of structure from the executive team was hampering them as a business. This was when the private equity firm realized their limitations and asked Charles from Senior Management Worldwide for an interim general manager. The private equity firm asked for someone who would be able to come into the business and get under the core of the organization, particularly in the executive team and how they worked together. They preferred someone who had both large company experience, and that in similar medium-sized businesses of around a 50 to a 100 million pounds turnover. The interim GM was initially placed for a four-month period, but that quickly turned into 12 months given his experience and ability to make contemporary changes in the organization. He was able to pull the executive team together to ensure that they worked well together as a tight-knit group, which in turn reflected how the business ran. Implementing simple things that weren’t happening before making a world of difference to the organization; such as bringing the organization’s executive team together for weekly meetings and deciding what needed to happen that week, and discussing the action outcomes from the week before. The interim GM also noticed some gaps in the ability of some of the senior executives in finance, and so he brought in a new finance director. Understanding the continued liaison with the investing private equity firm, he also realized that although the current chief executive was well networked within the business and industry in which they worked, they were perhaps better suited to be more of a commercial director than a chief executive. During consultations over that 12 month period, it was decided in conversations with the current chief executive that he would move aside into a more commercially lead role. After the interim GM completed his term, he was replaced by a fully-fledged chief executive who would run the business from that standpoint moving forward. The organization was transformed afterward, as they got to grips with their warehousing model. Their distribution vastly improved in efficiency as they had a better handle on what went in and out, preventing the loss of products out of their warehouse through various means. “It ran in much more of a tight and cohesive fashion when my interim left the organization, and then it went from strength to strength,” Charles Wilson said about the business. The impact of changes made by the interim GM was less on additional sales revenue but felt more strongly on increased margin regarding running a much more efficient business and having a better handle on the costs associated with the organization. They were able to stop some processes that were completely unnecessary and made sure the organization was as efficient as possible. Inducing margin control and cost control gave the organization financial gains in the form of a far more leaner running business, whose effects would be more apparent in the long-term. 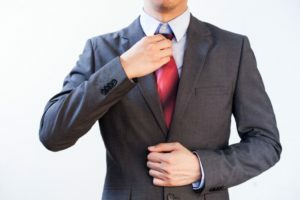 Towards the end of interim GM’s 12-month term, the chairman of the board at the private equity firm and some other executives were desperate to hire him on permanently as the new chief executive, as they were deeply impressed by his capabilities and the value he added to the organization. The interim GM politely declined as his career interest is firmly wedded to being an interim executive.